A couple of Audubon BirdCams arrived last week. Finally, the interns will be freed from standing behind the blind waiting to snap photos of visitors to the new feeder! 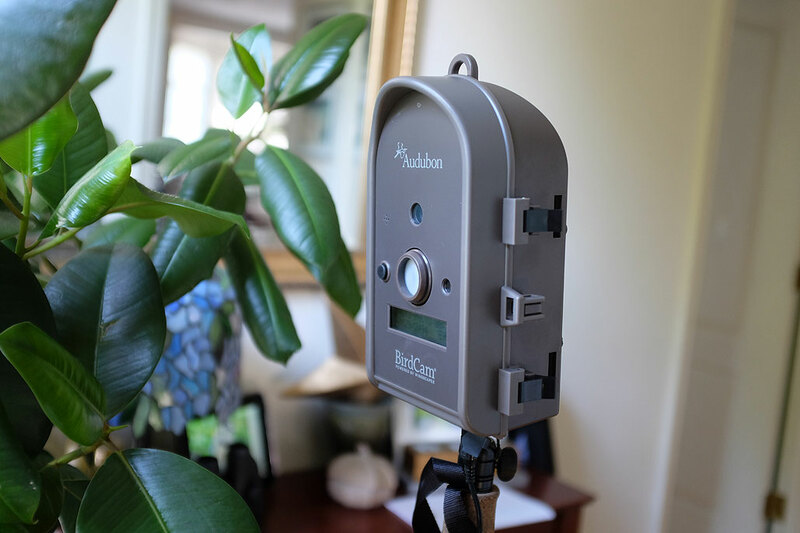 We posted a FirstLook of Audobon’s weather-resistant motion-activated camera on Monday and spent the next few days determining how best to set it up. The BirdCam can run on batteries (four D-size ones) or off of an AC adapter (9v-12v). We wanted to try things out inside first, so we decided to go the AC route. The weather-resistant case has a standard-size socket (1/4-20, which means one-quarter of an inch with 20 threads per inch) at the bottom for attaching the unit to a tripod. However, we ran into a slight problem when we first tried to mount the BirdCam. We found that the platform of many of our tripods made it impossible to mount the BirdCam when the AC power plug was in its socket. After a bit of head-scratching, we finally realized the TrekPod would be perfect for this application. The TrekPod worked because its magnetic discs that attached the camera to the stand were small enough to not interfere with the power plug. As we intend to leave the BirdCam running all day long, we installed the maximum size flash card in the unit. A 4GB flash card will store more than 2,500 maximum resolution images (5MP, 2560×1920 jpg). The focus must be manually selected based on the distance from where the birds may be landing. Based on the available light at the time the camera is triggered, it will pick the optimal shutter speed. Images are stored on a removable 4GB SD card. The BirdCam may also be set to take 10-second video clips. We will have more about that in the InTheWild report later in the Fall. 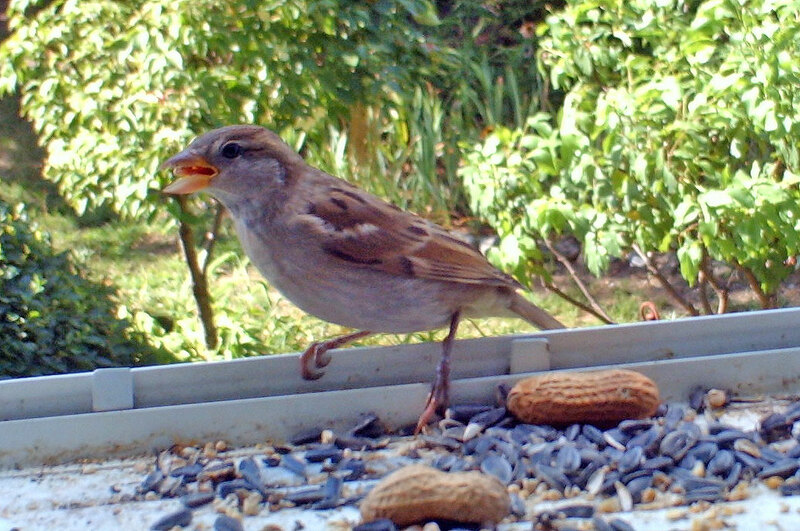 The BirdCam’s motion detector uses infrared light to sense movement. It will not work properly if the window is down. However, we ran into a different problem when we left the window up. The plus side was we were able to verified that the motion detector does indeed work…and judging by the number of closeups of the interns hindquarters, it works quite well.